Today we post the first 5 of my Top 10 for 2013. The Canadian content in this group consists of a great song by Donovan Woods. The Wire is likely the poppiest tune I have posted (or will post) but it is very catchy and becoming a huge hit. Having said that, some “purists” will contest John Mayer being on any list. I am a huge fan of his and greatly appreciate his abilities as both a songwriter and as an excellent guitarist. Both are highlighted in Wildfire. Enjoy! Song Of The Day didn’t have to go far for this one. 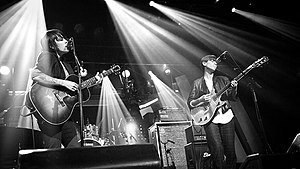 Tegan and Sara formed right here in Calgary back in 1995 and have had major success with their indie style music. This song, “I Was a Fool” is from their latest album “Heartthrob”, which was released earlier this year. I have chosen a live performance for you to enjoy. An absolutely terrific tune. Just a drive by song for you today. 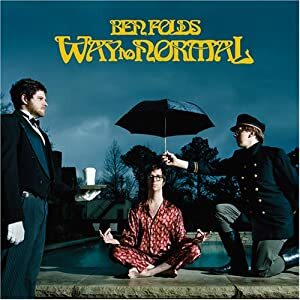 American singer songwriter Ben Folds recruits the very talented singer, Regina Spektor to join him in this quirky tune, “You Don’t Know Me”.The song is from his 2008 album “Way To Normal”. 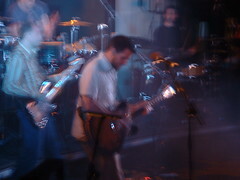 Guster makes another appearance on SOTD with a song off their 2010 album, “Easy Wonderful” titled “Architects and Engineers. These guys are masters of creating hook filled power pop that is quite infectious. In many ways they remind me of Wilco or Dave Matthews. At any rate, a nice tune for a cold blizzard day in Calgary. I had a serious infatuation with Duffy’s voice back about 4 or 5 years ago. Her debut album “Rockferry” is one of those stunning debut records that show incredible potential. 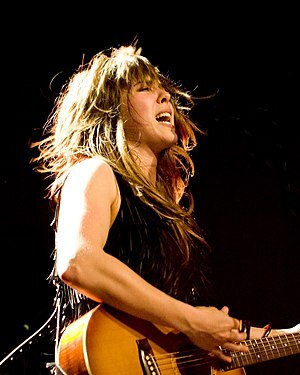 She came on the scene with an entire bevy of English female singer songwriters that quickly took over the airwaves. Think Amy Winehouse and Adele. In many ways, Duffy was the Animals to the others Beatles and Stones. Very good, but not at the top of the heap. 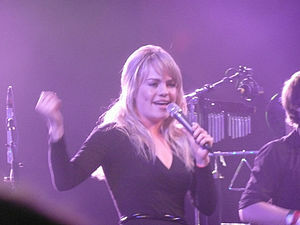 Unfortunately, she lost me with the release of her second album in 2010 called “Endlessly”. Still, Rockferry will be an enduring classic and should be in your collection. songs such as this “Serious” will likely be timeless and enduring. 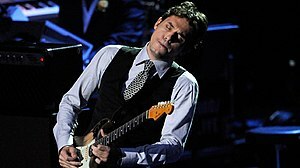 The oft maligned John Mayer enters my Song of the Day series, yet again. I say maligned as more often than not he is dismissed as nothing more than a pop artists. I tend to disagree. I find him a superior writer of songs, some pop, some a lot more than that, such as this tune, “Wildfire”. In this tune he once again proves that he can write and do a great catchy song and showcase something else that people tend to miss. As a guitar player, there are few performing today that are as good as he is. He is a terrific player, up there with many of the recognized greats. In the video, he really cuts loose at the 3:20 mark. All in all, this song rates an A+ in my books. Hope you enjoy.